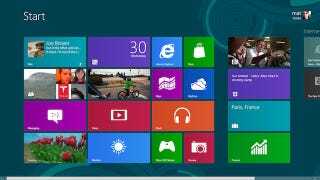 Microsoft's "Metro" UI Is Now Just "Windows 8"
Microsoft is ditching the "Metro" name for its live tiles UI in Windows 8 and Windows Phone. And it was a bit of a mystery what it was going to be called. Answer's in: Just plain ol' "Windows 8."